Dr. Jaxel Lopez-Sepulveda is a board-certified family medicine physician serving men, women, and children at Clinica tu Salud in Irving, Texas. Dr. Lopez-Sepulveda is dedicated to providing his patients with compassionate, affordable, and individualized care. He founded Clinica tu Salud in 2017. Dr. Lopez-Sepulveda was born in Puerto Rico and grew up interested in medicine and helping others. He looked up to his father, Dr. Angel Luis López Ruiz, a well-established surgeon in Puerto Rico. At a young age, Dr. Lopez-Sepulveda realized his vocation to become a physician. His childhood brimmed with trips to the hospital where he would accompany and observe his father at work. Since his early years, Dr. Lopez-Sepulveda has found the field of medicine riveting and believes the experiences with his father taught him the framework and principles of methodical, empathetic, and efficient care. His primary goal is to enhance patient wellness overall. Dr. Lopez-Sepulveda aims to help men, women, and children in Irving, Texas, and the surrounding areas. His premise is that it doesn’t matter where you stand economically, you deserve access to the highest standard of medical care. Fluent in both English and Spanish, Dr. Lopez-Sepulveda can effectively communicate with a diverse group of patients. He also specializes in the prevention and management of chronic diseases. 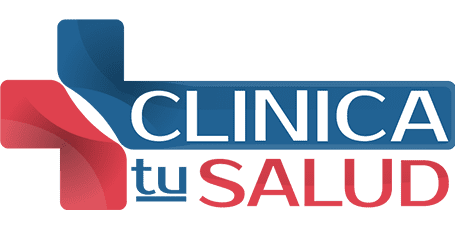 Clinica tu Salud offers an innovative weight-loss program and has an in-office laboratory for faster test results and convenience. When he isn’t in the office, Dr. Lopez-Sepulveda cherishes spending time with his family, friends, and his dogs. He also enjoys working out, biking, and traveling.